A business loan can elevate your business to the next level. What was previously unattainable can now be realised for instance an equipment loan will allow you buy equipment for improved efficiency in your operations. A lona for a startup will allow thte binsess owner pay salaries and rent without having to dip into his saving or borrow from friends. So how do you qualify for a business loan? We will explore 5 things you need to address to get a business loan. The most important thing is preparation. This will require a level of research on you part, make sure you understand the the lenders requirement so that you do not wast time applying or a loan that the lender will not approve. Credit scores deternine an individuals creditworthiness. It determines whether you would be a risk to advance credit to. Different agencies have different ways they use to assis an individuals creditworthiness. Generally the higher your score, the more likely you are to get a loan. Credit scores look at current and past financial behaviour of an individual or business. Small business owners may need to show their personal credit ratings because it shows their ability to handle debt or finances. Each lender has a minimm reqirement before they can give your business a loan. You need to fully understand what these requirements are and exceed them. Some of hte minimum requirements include a good credit score, annual income, size of business, lack of other loans among other considerations. 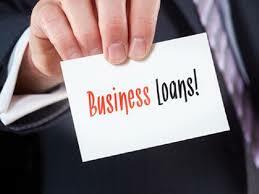 Some types of businesses will also not be considered for the loans, the lender should be able to advice on minimum requirements before you apply for the loan. Online lenders are more flexible in their requirements. If your credit score is weak you can consider getting a bad credit loan although these are typically very expensive because of the high interest rates. You will need relevant legal documents including income tax returns, income statement, balance sheets, bank statements, articles of incorporation, business plans or financial projections amongst others. Each lender will have their requirements and will be able to advice you appropriately. Your business plan will highlight how you intend to use the money and how it will contribute to your bottom line. It will also show how you planto make the payments. Ideally a business plan will show your operatonala plans and how you plan to take advantage of the market opportunities while overcoming any threats to your business. If you are taking a secured loan you will need collateral. This means that if you are not able to make the payment then the bank will sell the asset to recover their money. You may also need to provide a personal guarantee for the loan especially when dealing with online lenders. Taking an unsecured loan may be a better idea if you do not want to loose your assets. However be advised, they are generally more expensive than normal loans. Previous Post: Business loans explained.